Orlando, Florida – February 29, 2016 – (INTUITION by Perspective Group) – This spring, Unlimited Vacation Club (UVC) by AMResorts® will be celebrating with members at AMResorts properties in Mexico, the Caribbean and Central America. Participating resorts will host themed events for St. Patrick’s Day, Easter and Cinco de Mayo. On Thursday, March 17th AMResorts properties will celebrate the heritage and culture of the Irish in honor of St. Patrick’s Day. Green beer will even be on tap for our adult vacationers. Resort staff will be dressed in their green three-leaved shamrock gear while spreading the luck of the Irish as they host themed events and games for all ages. Don’t forget about special celebrations at the Explorer’s Club for Kids! 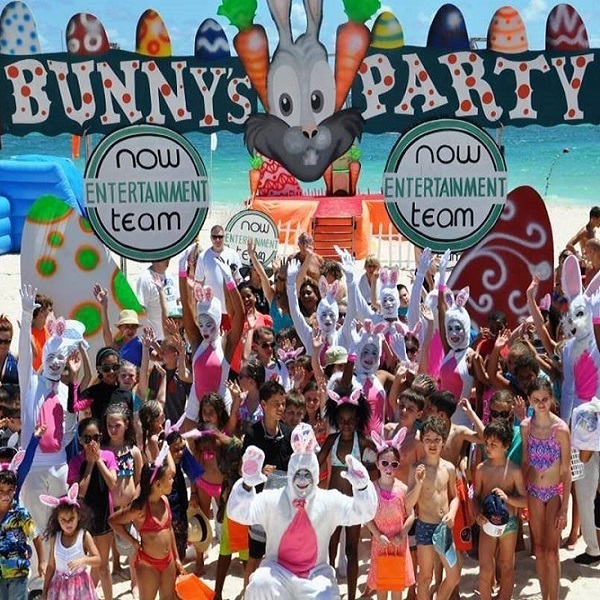 The Easter Bunny will be making a special appearance on Sunday, March 27th at AMResorts properties. There will be egg hunts, ice cream parties, and fun games for the kids at the Explorer’s Club. The resorts will feature themed décor, elegant entertainment, and gourmet dining for adults to enjoy. When the sun goes down, guests can wind down and watch movies on the big screen outside on the beach. AMResorts properties will host traditional Mexican fiestas in honor of Cinco de Mayo on Thursday, May 5th. Members will delight in the bright décor, dance to traditional Mexican music and play games that the entire family can enjoy. Then end the day with a delicious BBQ dinner on the beach with tequila, of course! UVC by AMResorts offers members a variety of upscale experiences ranging from adult destinations to wellness resorts and family-oriented properties. With so many fantastic holidays coming up, now is the time to book a fun-filled spring getaway at one of these beautiful beachfront retreats.